Sinking minnow lures are the most most popular lures used by Japanese anglers when fishing for wild trout. Yogi Berra once said you can observe a lot just by watching. I watched Tenryu’s Toshiki Uwamori fish a sinking minnow lure on the Toyama and Kamimura rivers in Japan’s Southern Alps, and I observed a lot. 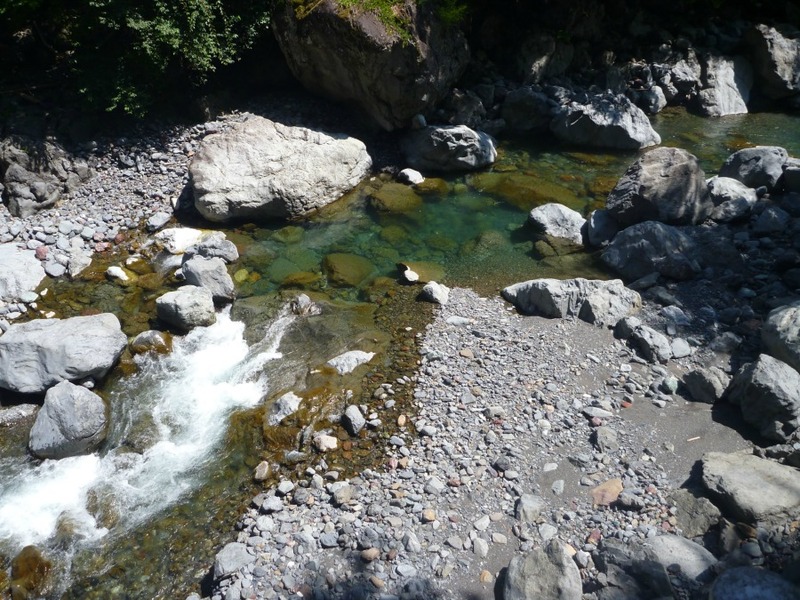 At one point we were taking turns casting to small pools as we fished our way back downstream on the Kamimura River. The stream was narrow and the current was swift. The fish, all native Iwana, were hiding under the large concrete blocks placed in the stream to slow the current. Toshiki would cast downstream and his sinking minnow would track near the bottom, right alongside the concrete blocks and in the small pools that existed between or beside the “rapids” where the blocks had been placed. I was fishing a three-gram spoon but when fishing downstream where the current was fast the spoon just didn’t work. Other than in the few small pools, the current was strong enough that the spoon was forced up to the surface and just slid along on top of water like a miniature surfboard! Toshiki’s sinking minnow had a lip, and the force of the current against the lip caused his lure to dive rather than rise to the surface. He got a lot more hits than I did. The fish were small and very quick, and neither one of us actually managed to get any into the net. Small fish wriggle off single barbless hooks pretty easily. I was a bit surprised to see that Toshiki had replaced both treble hooks on his lure with single hooks. 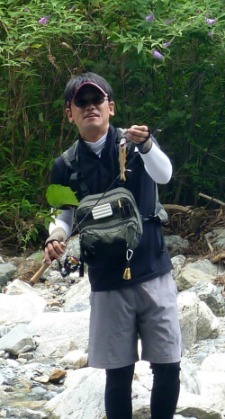 On our way downstream we caught up with Takuya Shiozawa, General Manager of Tenryu’s Fishing Tackle Division. He had caught an Iwana with a WooDream Arbor 40S sinking minnow lure from which he had removed the front hook. Fishing a minnow lure with just a single rear hook and no front hook is something I do but not something I expected to see in Japan. The fishing culture at Tenryu is very much in line with the practice I am trying to promote in the US. Getting back to the spoon I was fishing on the Kamimura river, when I was fishing upstream or across, or in one of the few small pools, I could work the spoon as effectively as I wanted. For fishing downstream in current, though, it was essentially useless. Toyama River in early August. When we fished the Toyama River earlier that day, Toshiki worked his lure through all the available lies. Depending on the structure and flow, more than a few of his casts were downstream presentations. Unless the current was pretty slow, those downstream presentations would not have been effective with a spoon. Fishing a spoon rather than a minnow lure would mean passing up numerous lies or making numerous lure changes. It would be much easier to just fish a minnow lure to begin with. I asked Toshiki if Japanese lure fishermen fished spoons in rivers (as opposed to Areas - private pay-to- fish lakes - where they are very popular). He said yes, but not nearly as much as the minnow lures. When I asked whether sinking minnow lures were better than floating minnows, he said almost always. After all, the fish are usually on or near the bottom, so a sinking minnow lure gets down to them more easily. I probably should have deduced the answer just by watching. When fishing upstream or across, he generally counted three or four beats before starting the retrieve. That allowed the lure to sink a bit first, which a floating minnow obviously wouldn’t do. Watching how a Japanese spin fisherman fishes, it became pretty obvious why most choose sinking minnow lures. Hand made wooden WooDream Arbor 40S sinking minnow with single barbless hook. One thing I couldn’t learn just by watching is why Japanese lure fishermen don’t use spinners. Prior to this trip I had thought that Japanese anglers didn’t use spinners because of line twist (Japanese line is more expensive to replace). I asked Toshiki why Japanese anglers don’t use spinners. I received the exact same answer I had gotten a couple days earlier from the supplier through whom I buy Japanese lures. Japanese fishermen don’t use spinners because they are too effective. It’s too easy. Japanese anglers want more of a challenge. Part of the challenge is “working” the lure by varying the retrieve or twitching the rod tip. With a steady retrieve, minnow lures have a seductive wiggle. By twitching or jerking the rod tip you can cause the lure to dart to one side and then the other. Similar action can be imparted to a spoon. With a spinner, though, it’s pretty much just a straight line retrieve. Imparting action is something that generally isn’t done (and isn’t needed) with spinners. Don’t get me wrong. 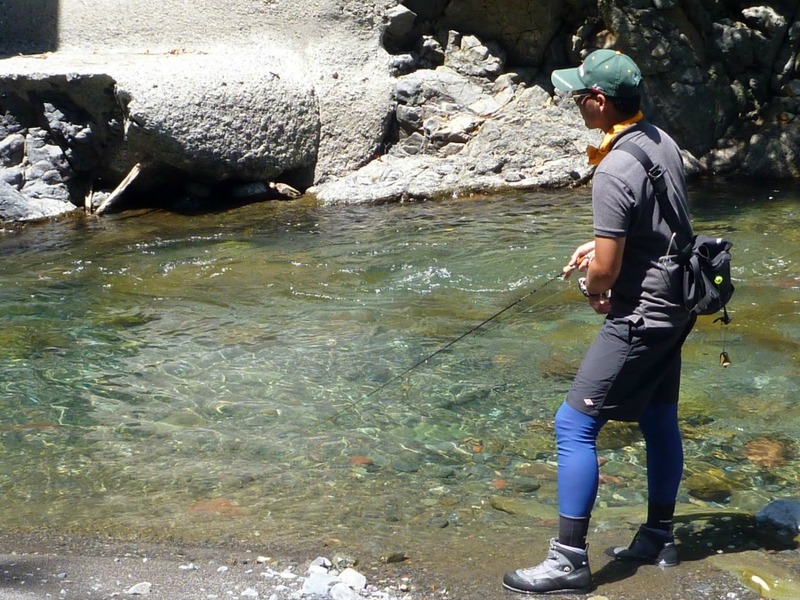 Fishing spinners in streams, particularly high gradient mountain streams, still takes skill - particularly with respect to casting accuracy and varying the retrieve speed to keep the spinner near the bottom. 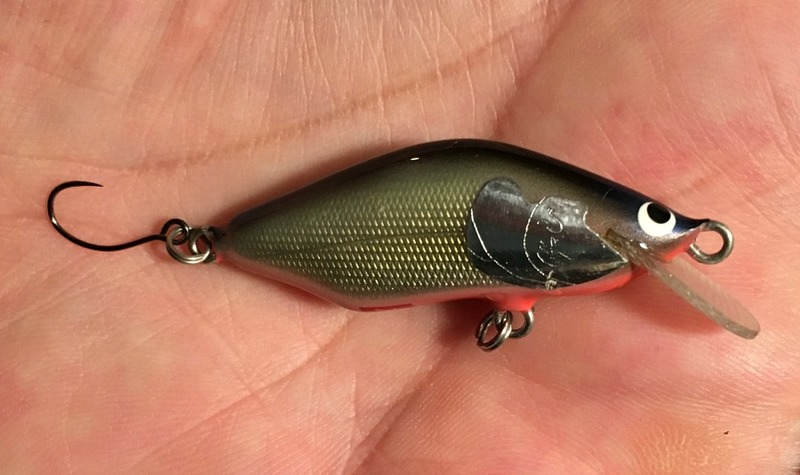 However, spinner pros will tell you that if the blade is spinning, you'll catch fish. Fishing sinking minnow lures takes the game to another level, adding the complexity of manipulating the lure with the rod tip to make it dart like a fleeing minnow, struggle like a dying minnow or anything in between. Shop for sinking minnow lures.